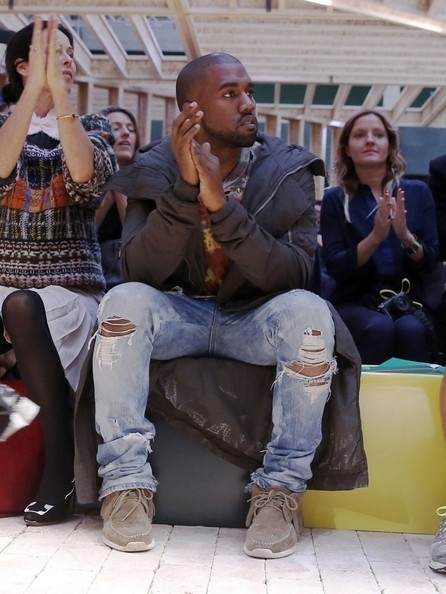 OMG this Kanye West guy is really into fashion! First we see him here in NYC at the fashion shows, and just now he was spotted in Paris, attending the Celine fashion show Ready-To-Wear S/S 2014 at the Tennis Club in Paris. He was dressed in a pair of Vintage Levis jeans, a printed t-shirt and sneakers. One step up from his usual sweatpants! Dunno why a guy like this always has to dress so sloppy 🙁 I mean, I love the jeans he is wearing, but couldn’t he have paired them with a blazer and a nice shirt, just for a change?! But, hopefully, maybe he will learn something from watching all these fashion shows. BTW, that’s called a tie-dye t-shirt. 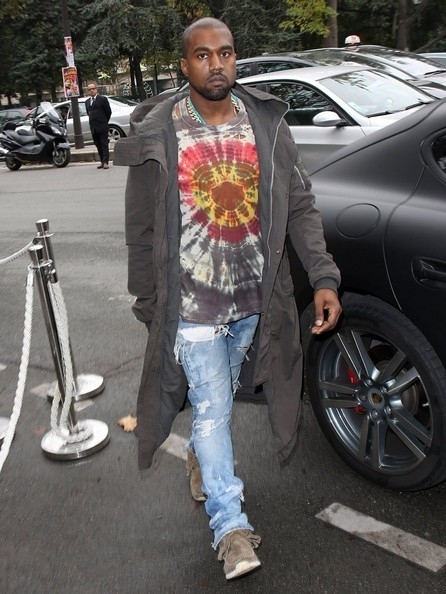 BTW, that's called a tie-dye t-shirt.